I used to avoid writing products for the hair because I didn't want to focus on my bushy, dry, frizzy hair. But it's different now. I have committed myself to find a solution for it, so here I am with my first review on hair care products. 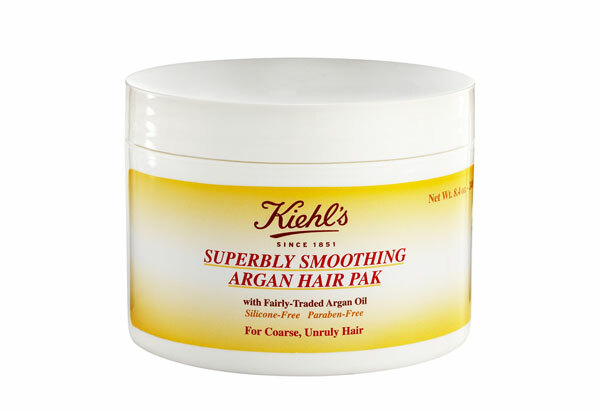 I will start with Kiehl's Superbly Smoothing Argan Hair Pak. 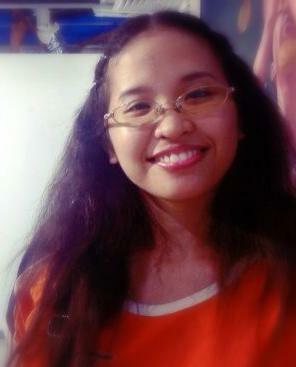 This one because I was touched by the kindness of the sales assistant when I went to Kiehl's Mall of Asia. I just passed by their store and paused for a while to look at the skeleton display, when she smiled and approached me. She asked my concern and so I said, "Do you have products to tame dry, frizzy hair?". She then lead me to the Argan range and suggested that I have the Hair Pak. I asked if they have a sample of it so that I can try first. PhP2,000 for a 250mL bottle is too high a risk. However, they ran out of samples for it. But the SA went the extra mile and told me that she will just scoop out an amount from the tester bottle. She put the sample in a small white container just enough for one time use. I would estimate it to be 5mL. I'm so happy for it! Yay! Thank you, girl! The sample the SA gave me. It really is a small container, just looks big in the photo. I thought the amount given to me won't be enough. My experience with other brands of hair products usually required a handful amount for it to spread all over my hair. But with Kiehl's, a small amount of cream spread out easily! It covered my hair in a few applications! I only consumed half of the sample the SA gave me! Yay! The product is a white cream that is smooth to the touch! It gave out a slight heating sensation when I applied it on my hair. The smell? It is similar to a soothing ointment, you know, that old minty smell. But then again, most of Kiehl's products don't smell good so I expected that. The instructions only said to leave it on for about three minutes. Me? I went overboard. I put a shower cap on and left the product on my hair for at least 30 minutes. I don't know if it will make a difference but I like to pamper myself by doing so. LOL! The result? On rinsing, the product came off easily. However, it left my hair stiff to the touch. Even so, it made my hair easy to comb. Wet hair didn't give me much excitement! But when my hair dried, I saw the impressive effects! My hair was smooth! Most of the frizz is gone too. However, the minty ointment smell lingers. Ugh. The product is true to its claim! However, I think I need to use more of it because there is still a bit of coarseness on my hair. I still have bushy hair but it doesn't spread out chaotically anymore. That is a big improvement on my part! This is a before photo. Notice that I needed to use a lot of Bobby pins to tame my bushy hair. Before photo. Taken a few weeks ago. After photo. See the huge difference! This product delivers! 'Nuff said. So will I buy the full sized bottle? Of course! Now this one, I will add to my 'things-to-save-up-for' list. It's a investment with a sure return on my confidence.